There’s an old saying that goes something along the lines of ‘the only way to make a small fortune owning a football club is to begin with a large fortune’. A club may be pottering along, very much as it has done for most of its existence, then someone takes control and starts investing money, the club grows in an inverse relationship to the amount of money that the owner has, then comes the crunch. The owner decides he’s spent enough and divests himself of the costs. The club plummets and ends up in a far worse state than before the money came along. For some clubs, it even leads to destruction as the bright, attractive but ultimately destructive flare of its owner’s ambition burns out, leaving behind merely ashes, memories and regrets. Stories such as this, tinged with pathos, are common across the game, and fitting right into the model is the period covering the late 1980s and early 90s for Belgian club KV Mechelen and IT business magnate John Cordier. The club lived the dream – the electric dream of its owner’s ambition – and then awoke with a hangover. KV Mechelen was founded just a few years into the 20th century and first reached the top echelon of Belgian football in 1921. A couple of yo-yo years ended in 1929, when they returned to the first division, and remained there until the mid-50s, at which time the up and down syndrome returned. In 1981 the club once again achieved promotion to the top league and this prompted John Cordier and his Telindus ICT company to take over. For any Mechelen fan expecting a rapid improvement in the club’s fortunes, the first season under new ownership would prove to be a massive disappointment. The club ended the 1981/82 campaign rock bottom of the league, with the inevitable relegation back to the second tier. The drop, however, proved to be the catalyst that would kick-start Mechelen’s progress, lighting the blue touch-paper that would spark incandescent shafts of glory. In 1982, Cordier was elected as president and began to spend money improving the club. The rise in fortunes was launched and a bounce-back promotion was achieved. At the time, Mechelen were managed by Dutchman Leo Canjels, but he proved incapable of pushing the club’s fortunes much beyond survival in the top league. It was perhaps a worthy enough achievement at any other time, but with Cordier pushing for progress, mere survival was never going to be seen as good enough. In fairness, the owner granted his manager more time than many are given these days, but halfway through the 1984/85 season, with no sign of significant progress accruing, Canjels was ousted. The new man entrusted with delivering the required results was the experienced German manager Ernest Kunnecke, who moved to the club from Swiss side Basel where he had served a short term after managing a number of Belgian sides with varying degrees of success. Although the basis of a fairly solid team was already in place, capable of mid-table security, Cordier was astute enough to realise that just changing the driver, without improving the horsepower of the engine, could produce, at best, only modest acceleration. 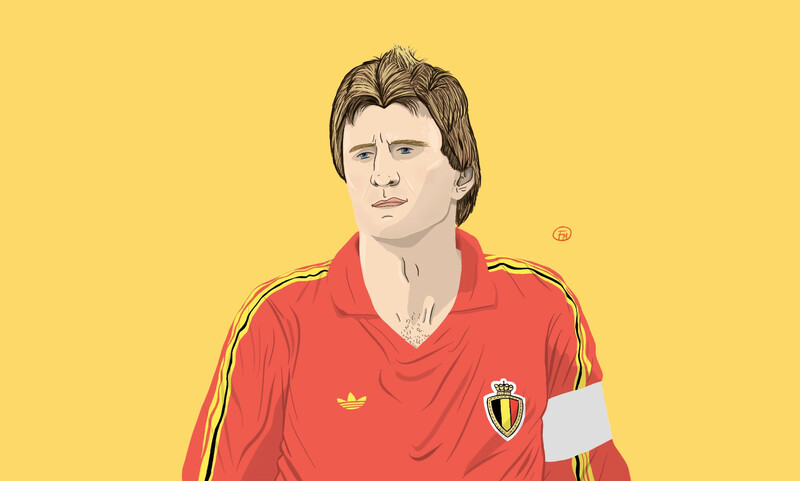 As a result, in the summer of 1985, Cordier began to flex his financial muscles and strengthened the Mechelen squad. He raided Gent and Antwerp to bring Ronny Martens and Gaston Boeckstaens to the club. With Dutch football on the rise at the time, he also dipped into the Low Countries to sign the experienced Walter Meeuws from Ajax. Perhaps most significantly for the long-term future of the club, he also returned from Holland with the outstanding Excelsior Rotterdam defender Graeme Rutgers and Erwin Koeman, brother of the more celebrated Ronald, signed from Groningen. With the significant investment, Cordier expected – demanded – a proportionate improvement in results. At the end of the season, however, a disappointing 11th place was far from being sufficient to keep Kunnecke in post. Cordier felt that he had done his bit by bringing in an upgrade in the playing staff. He required his coach to also deliver, and it hadn’t happened. The result was both predictable and inevitable. The writing was on the wall well before the end of the season and Cordier removed the incumbent, replacing him with Aad de Mos. If Kunnecke’s record was chequered, De Mos was clearly an upgrade. Young and ambitious, he was seen as a rising star, determined to hit the heights, with a Dutch league title already behind him at Ajax, where he would claim a significant part in the development of a young Marco van Basten. Again, Cordier dipped into his not inconsiderable funds to support his new manager. It was time for some upmarket shopping. Following the tried and tested format of building from the back, Cordier acquired goalkeeper Michel Preud’homme, Belgian international Leo Clijsters, Wim Hofkins, and Paul Theunis to give the Mechelen defence a total revamp. Further forward, Paul de Mesmaeker and Alain de Nil were added to the midfield. Having given the squad another makeover, it was time for results. This time, Cordier’s chosen manager would deliver. The 1986/87 season was Mechelen’s coming out party; the season that they declared themselves to be capable of rivalling the likes of Club Brugge and Anderlecht for the biggest of the country’s domestic trophies. Despite contesting top spot in the league with Anderlecht for long periods, they finished the season just a couple of points adrift of their more illustrious rivals. The money invested in the squad’s defence, however, was already reaping rich rewards. Across the entire season of 34 games, Mechelen conceded a miserly 18 goals, a record that bettered that of the champions by a margin of seven. They also netted just two fewer goals than them. The team that De Mos’s coaching and Cordier’s investment built had run the champions far closer than anyone – perhaps outside of Mechelen – had expected. They also picked up some consolation in lifting the Belgian Cup, defeating Standard Liege in the final thanks to a goal from Piet Den Boer. The victory opened the gateway to European football for the club. Cordier could now see some tangible reward for his investment. The sparks were igniting his electric dreams. Cordier was taking the club places – and not only in Europe. 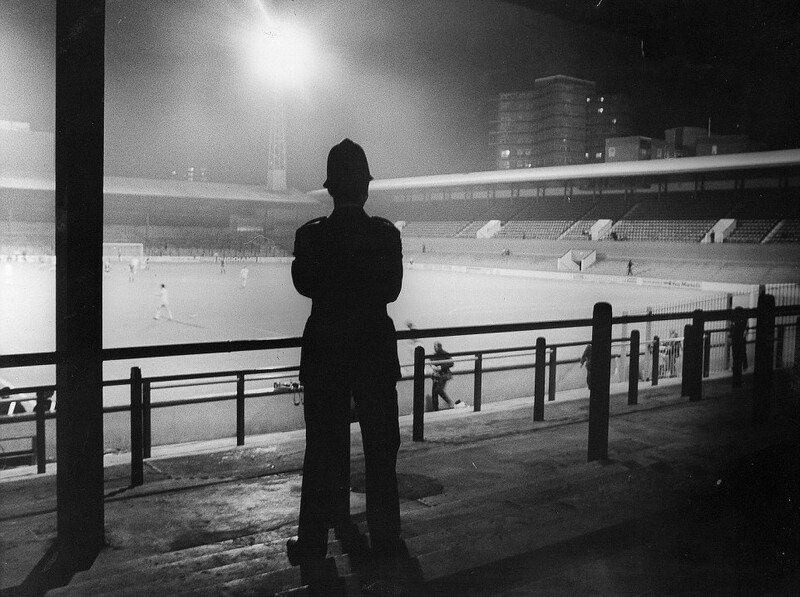 He had turned it into a fully professional organisation and had installed – the now standard fare – executive boxes where companies could entertain guests at games in comfort. He had also set up a separate company – Cova Invest – which would be a vehicle for buying players who would then be loaned to the club. To many, it was a novel way of not stripping funds from the club, but in effect meant that Cordier owned the assets and the club were merely renting them from him. It was a move that would have consequences further down the road. As Cordier spread his net wider, more players joined the club. Striker Eli Ohana was brought in from Israeli club Beitar Jerusalem; he would have a major part to play in the club’s most famous evening the following season. Pascal de Wilde and Marc Emmers also came on board. The latter would go on to play international football for Belgium. As some joined, others were leaving. The experienced Meeuws had run his race and retired, while Ronny Martens was shipped out to Gent to make way for the newcomers. Although a Belgian club, it was clear that Cordier and De Mos had created a substantial Dutch feel to the organisation and squad. Apart from the manager, players such as Graeme Rutjes, Wim Hofkens, Erwin Koeman and Piet Den Boer ensured a sweet-tasting orange flavour at the club. It was a shrewd move. Dutch football was on the rise, and the following year, Oranje would underscore their renaissance by winning the European Championships. The following season, Mechelen would finish as runners-up in the league, this time losing out to Club Brugge. Once again, the margin was a mere two points. Also again, their defence was the best in the league, with just 24 goals finding the back of the Mechelen net. De Mos had the back line and goalkeeper playing as tightly as Scrooge on the type of austerity drive that would make any Chancellor of the Exchequer blanche. Their league pedigree was now established. It was, however, their adventure into the Cup Winners’ Cup that would bring the greatest night in the club’s history, and that defence would have a more than significant part to play in the journey and ultimate triumph. It was Mechelen’s maiden voyage into the what could, very often, turn out to be the choppy waters of European club competition, but the club’s second-place finish in the league the previous season, and a good opening to the new period, illustrated that they were very much on the rise. Facing Dinamo Bucharest in the opening round, a crowd of some 12,000 saw a goal by Den Boer just after the break give them a lead to take to Romania for the return. 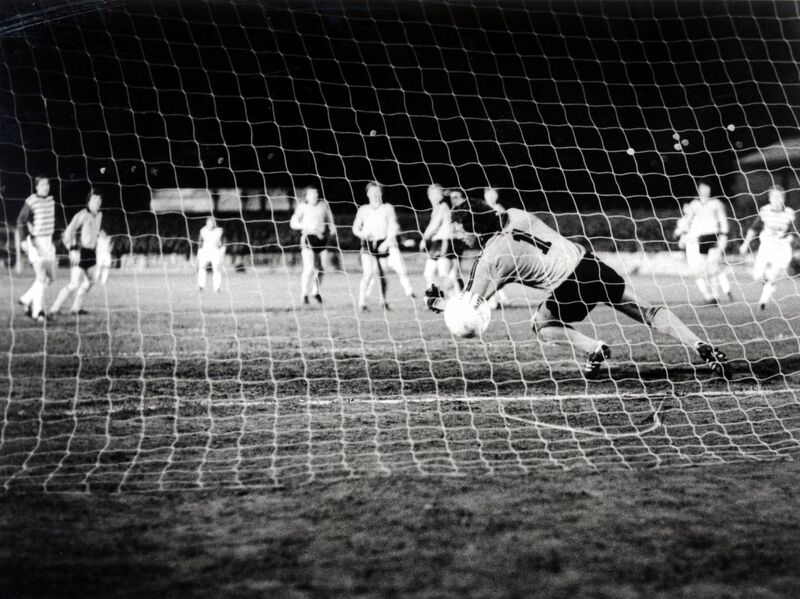 Two weeks later, De Mos’s defence again excelled, shutting out the Romanians as goals from Wim Hofkens and Den Boer meant a comfortable passage to the next round, where they would face Scotland’s St Mirren, the first leg being in Belgium again. The attendance for this game was well down on the game against Dinamo. Perhaps people foresaw what would happen. Just over 6,000 turned out to watch what turned out to be a fairly turgid and largely frustrating goalless draw. De Mos would need to lean heavily on his defence again in the second leg. The back line duly obliged, again keeping a clean sheet. Another pair of goals from Hofkens and Den Boer saw Mechelen through. Across four games, despite only scoring once at home, the value of Mechelen’s somewhat expensively assembled defence had shown both the value and virtue of Cordier’s largesse by keeping successive clean sheets in the away legs, while the forward players enjoyed the extra space afforded by the home team having a more attacking intent to score the necessary goals. From now on, entering the last eight of the competition, things would get tougher. Their quarter-final opponents where Belorussian club Dinamo Minsk, and for the third successive time, Mechelen were drawn to play the first leg at home. Over 9,000 fans turned up at the compact Achter de Kazerne, and for most of the game, it seemed that the result would be very much the same as the previous round. Although sound at the back, the home team struggled to break down the resolute defensive organisation of Dinamo and a pitch that deteriorated as the game progressed and inhibited much of any creative play. With less than five minutes remaining, a cross from the right led to a goalmouth melee and a scuffed clearance that ran towards the edge of the penalty area. Just evading a challenge before he connected with the ball, right winger Pascal De Wilde fired home to give Mechelen a vital lead to take to Minsk. The neat but limited stadium that Mechelen played in was put into sharp contrast when more than 50,000 crowded into the Dinamo Stadium in Minsk for the return game. Most were confident of their team overturning the deficit from the first leg, but those with knowledge of the Belgians’ progress to date would have had concerns about the task of breaking down their redoubtable defence. If the condition of the pitch in Belgium had influenced the way the game could be played during the first leg, conditions in Minsk took that scenario to a whole new level. Although by now into early spring, the pitch was still covered with snow and, despite efforts to clear the playing surface for the game, aside from the goalmouths at both ends, the remainder remained white rather than green. The temperatures were also sub-zero and many of the visiting players donned gloves, with some even wearing tracksuit bottoms or tights beneath their shorts. If the Mechelen players needed something to warm the cockles of their hearts, it came just on the half-hour mark, as a long ball found the Minsk defenders vainly appealing for offside as Ohana raced clear and in on goal. Despite a slight slip as he confronted the ‘keeper, he managed to fire home. Now Minsk had it all to do. The Israeli’s strike meant they would need to score at least three times. Given Mechelen’s record to date, and despite the conditions that seemed alien to the visitors, it seemed a huge task. The half-time break came and went with the two-goal aggregate advantage still intact. Fifteen minutes into the second period, though, as the temperatures began to plunge even lower, Minsk pulled a goal back. Appearing like some surefooted skater as others slipped and slid Bambi-like on the freezing surface, Kisten managed to prod the ball home from inside the box. There were 30 minutes to play; Mechelen still would need to concede two more to lose the tie but now the conditions were favouring the home team. The huge home crowd roared Dinamo on, but despite periods of pressure, De Mos’s back line would not yield again, and Mechelen, in their debut season in European football, had reached the last four of the Cup Winners’ Cup. In the semi-final, Mechelen were paired with the competition’s other surprise package, second division Italian club, Atalanta. For the fourth time in succession, the Belgian’s were drawn at home in the first leg, for a game where, almost refreshingly different, they were probably odds-on to go through. Any such bets looked to be pretty much a shoo-in when, with just over six minutes on the clock, Ohana put them ahead. A cross clipped in from a free-kick out on the right flank deceived a posse of defenders, leaving the Israeli time to chest down and fire home. If for some of the 11,700 fans in the Achter de Kazerne it started to look easy, they would be quickly disavowed of such an assumption. Just 60 seconds after the ball hit the back of the Atalanta net, the Italians were back on level terms. A free-kick, in almost a mirrored position to the one that led to the home goal, was floated into the box in the space between goalkeeper Preud’homme and his defence. Taking advantage of a moment’s hesitation, Swedish midfielder Glenn Strömberg stabbed the ball home for a precious away goal. For the 75 minutes remaining, Mechelen were compelled to face the sort of defensive stability that had been the hallmark of their own success so far in the tournament as the blue and black striped shirts of the Italians funnelled back to defend their goal at the slightest hint of danger. Entering the final 10 minutes, it looked like their ploy would gain its rewards, but with just eight minutes on the clock, a free-kick on the edge of the visitors’ box offered Mechelen a chance. The ball was tapped inside for a powerful shot that seemed destined for the net. A brave header off the line brought brief respite, but as the ball ballooned up in the air and fell back to earth, Den Boer met it with a perfect volley to give the home team the lead. It was the last goal of the game and left the tie precariously balanced. Mechelen had a lead, albeit a slender one, but the Italians knew that a simple 1-0 home win would see them through, courtesy of that away goal. If Atalanta scored first, it would be tough for the Belgians. In a packed Stadio Atleti Azzurri d’Italia in Bergamo, with 40,000 fans urging the home team forward, De Mos’s defence held firm against the initial surge, but just as things seemed to be settling down with the game approaching half-time, Mechelen conceded a penalty. The shot was driven low and hard to Preud’homme’s right, and, despite a gallant effort by the goalkeeper, Oliviero Garlini’s effort found the back of the net. It was the nightmare scenario that Mechelen would have feared – conceding the first goal – especially with the break rapidly approaching. The lead survived until almost the hour mark when a free-kick was hoisted long and high into the Italian penalty area. A weak header away saw the ball drop towards the far edge of the box. Up for the free-kick from his more usual duties at the back, Australian defender Graeme Rutjes pivoted and hit a crisp volley into the far corner of the net. It was a strike any forward would have been proud of, let alone a defender. Mechelen had nullified Atalanta’s away goal and were back in the driving seat. Now it was the Italians who would need to score again in the remaining 30 minutes or so. When the next goal came, though, as the final 10 minutes were approaching, it was from a red and yellow-striped shirt. As Atalanta became increasingly compelled to push forward there was always a chance of a break against a denuded defence. A ball forward from the right found Emmers in unaccustomed space approaching the penalty area; jinking inside a defender, he fired in a shot back across goal to net the winner. Mechelen were through to the final of the Cup Winners’ Cup. It now seemed that Cordier’s investments may deliver some European silverware to go alongside their domestic cup triumph of the previous year. If the Belgian club’s approach and success had been guided by Dutch influences, in the final to be played in Strasbourg’s Stade de la Meinau, they would meet that most Dutch of clubs, Ajax. It looked a stiff task for Mechelen. Ajax, now managed by their legendary libero Barry Hulshoff, could call on the likes of Danny Blind, Aron Winter, John van’t Schip, Arnold Muhren and Rob Witschge. They even had a young Dennis Bergkamp on the bench, the day after his 19th birthday. It would be a test for De Mos’s team far more stringent than anything contemplated in the competition so far. All that said, though, the Belgians certainly didn’t freeze in the final and, early on, a shot parried by the feet of Stanley Menzo in the Ajax goal offered a half-chance to Emmers, but he headed high and wide. Shortly afterwards, the goalkeeper from Suriname was forced to push another header wide as Mechelen continued to press in their eager style, encouraged by the sideline promptings of De Mos. At the break, the game remained goalless. Eight minutes after the restart, though, that would change. Out on the left, pinned by the corner flag, Ohana jinked one way and the other, trying to find space for a cross, but was marshalled expertly by Winter. Finally, he created a half yard and whipped the ball into the near post area. Arriving in the box at full tilt, Den Boer beat Peter Larsson to the ball and, this time, Menzo was powerless to stop the effort. With the ball in the back of the net, Den Boer’s run continued past the goal, arcing round to sprint towards the Mechelen bench where De Mos was celebrating with his coaching staff. The Ajax team were far from beaten and ploughed forward in search of an equaliser. A powerful run by Larsson, and a neat one-two, led to a shot on goal, but Preud’homme saw it safely over the bar. A cross from Frank Verlaat saw a header go narrowly wide, but the strong suit of De Mos’s team held out and, at the final whistle, the manager ran onto the field arms in the air to celebrate the unlikely victory. At just 31, he had guided the team that Cordier and he had built to European glory. The trophy was lifted by skipper Lei Clijsters, father of the Belgian tennis star, Kim. He would later reminisce: “It was an unforgettable time with unforgettable games, that unfortunately could never happen again. The axis of Preud’homme-Clijsters-Rutjes-Koeman-Den Boer was not very expensive then. These days you couldn’t put such a team together.” For Cordier, the recipe was apparently simple: “[You need] Ambitious players such as Ohana who want to go places and avoid unambitious and injury-prone players.” He neglected to mention the necessary funding and the ambitious coach his finance had hired. As with so many things, the value of these two would only truly be felt when they weren’t there anymore. For now, though, the fairy-tale was in full flow. Only the league title was required to round things off. They wouldn’t need to wait much longer. Despite the European success, Cordier again strengthened the squad ahead of the new season. Marc Wilmots, then a young striker who would later become a national legend, was brought on board, as was Frank Leen and Bruno Versavel. Perhaps the biggest statement signing was the capture of John Bosman, who had played for Ajax in the Cup Winners’ Cup final in Strasbourg. It seemed that the Mechelen bandwagon would continue to roll for some time yet. The following season, though, would see the beginning of the end of the road. No dream lasts forever, not even electric ones. The league title was secured by a four-point margin from Anderlecht, with De Mos’s defence once again returning the best record. Additionally, Mechelen won the UEFA Super Cup, defeating European Champions PSV 3-1 on aggregate. They also put in a strong defence of their Cup Winners’ Cup, comfortably defeating Avenir Beggen of Luxembourg by a seven-goal margin on aggregate before they were intriguingly paired with rivals Anderlecht in the second round. A late goal by Wilmots gave them a 1-0 home victory, before the defence excelled in the away leg, again keeping a clean sheet as goals from Koeman and Ohana did the job. The result and performance, although widely lauded by the Mechelen fans at the time as perhaps signalling a significant shift in the balance of power in Belgian football, may well have had the reverse effect and contributed to the downturn in their fortunes. If the Anderlecht hierarchy had not already been impressed by the success De Mos had delivered, this tie underscored things for them. In the quarter-finals, for the first time in eight ties, Mechelen were drawn to play the first leg away, against German club Eintracht Frankfurt. Changed circumstances or not, De Mos’s organised defence delivered another clean sheet meaning a goalless draw to take back to Belgium. A strike by Wilmots was enough for a place in the last four. In the semi-final they faced Sampdoria. An early goal by Ohana and a second midway through the second half by Geert Deferm were enough to suggest that a comfortable lead to take to Genoa was on the cards, but a goal by Gianluca Vialli in the last minute cut away much of that assurance. Sure enough, in the return leg, despite keeping a clean sheet until the last 22 minutes, De Mos’s defence could not contain the persistent Samp forwards as goals from Cerezo, Dossena and Salsano eliminated them. With the title secured, plus the Super Cup and a robust defence of the Cup Winners’ Cup, it felt like another successful season for Mechelen and a further step along the road. For Aad de Mos, though, it was time to take a different path. At the end of the season, he announced that he was leaving the club to join Anderlecht. If the announcement came as a sobering shock to many Mechelen fans, there’s an inevitable logic to the decision. It was probably true that there was little left at Mechelen that De Mos could realistically achieve. Despite the success he had enjoyed, he remained ambitious for greater things. His drive had not been sated by the silverware garnered with Cordier’s finance. He was hungry for bigger and better things. If he was to take the next step in his career, he would need to be at a club already established as a major name, rather than one still trying to attain such status. In his stead, Cordier turned to the former Dutch captain Ruud Krol. For all his knowledge and playing expertise, Krol had no management experience. The corner had been turned at the club, and getting things back on track would have tested the most experienced of coaches. Krol had the name and charisma by the bucketload, but it was always a test he was destined to fall short on – and worse would follow. A further blow was delivered when Den Boer, who had scored so many key goals for the club, also decided to leave, opting for Bordeaux. Incoming players boosted the spirits as best they could. Den Boer was replaced by Francis Severyns from Serie A side Pisa, while Patrick Versavel joined his brother, Bruno. Coming in to add to the defensive strength was Philippe Albert. After De Mos’s departure, a strong start to the season was necessary to show that things were still well at the club. It didn’t materialise, and people began to question the wisdom of appointing the novice Krol. He didn’t last long and was replaced by his more experienced assistant Fi Van Hoof, who at least managed to steady things down again as the club finished the season in a respectable third position, seven points astray of champions Club Brugge and four behind De Mos’s new club. Their title win the previous season had of course given them entry into Europe’s elite club competition. A couple of fairly comfortable victories against the Scandinavian clubs Rosenborg and Malmo saw them paired in the quarter-finals with the European champions AC Milan. A goalless draw at home and then holding the champions in the second leg to a similar score was a worthy effort, but two goals in extra-time ended their adventure. Despite losing their manager, it had been a difficult but largely acceptable season. The next period would show whether it was just a stumble, the sort of season that happens when consolidation is key, or whether there had indeed been an irreversible downturn in the fortunes of Mechelen. The close season suggested the latter. Cordier’s business was becoming less profitable, which in turn affected the finances of the club. Rutjes was seduced away by De Mos, and the path to Anderlecht would become well-trodden in the next couple of years. They also lost crowd favourite Ohana, who left for Portuguese club, Braga. Koeman and Bosman also departed. Previously, such holes had been filled by players of equal or more worth, but things were different now. The new recruits, Romanian Lucian Ilie, Australian Zlatko Arambasic, and Swede Klas Ingesson were not of the calibre expected. The new season saw a respectable runners-up spot in the league to champions Anderlecht plus a cup final defeat to Club Brugge. Their European campaign failed to get past the first round. By now, the warning bells were ringing loud enough for anyone to hear. Certainly, for some of the players, the writing appeared to be on the wall. The following season, De Wilde and Hofkins joined the exodus of the players that had taken the club to such heights. A new manager, George Leekens, was brought in but, to borrow the metaphor used earlier, the new driver was inheriting an engine that looked weary and worn. An overhaul was required but finances were becoming an increasing concern for Cordier. Sweden striker Kennet Andersson was a significant arrival but Cordier’s need to bring money in forced the sales of Versavel and Emmers to join Anderlecht. Not only were the club losing their prized assets, they were losing them to a major rival. A fourth-place finish and a lost cup final appearance were outcomes well above what the trend suggested, but it was allegedly achieved with sticking plaster and baling wire as gaps in the quality of the squad became increasingly difficult to bridge. A first round exit in the UEFA Cup at the hands of Greek side PAOK was very much more the indication of where the club was heading. At season’s end, a couple of player exits illustrated the downward slope. Skipper Clijsters, who had been at the centre of so many of Mechelen’s triumphs, moved on to FC Liege, and Albert trod the well-worn road to Anderlecht. If the former was a blow to the club’s history, the latter surely compromised its future. The playing quality had been obliterated, but financially, the biggest blow was about to land. Cordier announced that he could no longer play “Lady Bountiful” to the club, revealing that he had personally funded some of the player purchases, and was now compelled to sell them in order to save his business. Some may describe the situation as rats deserting the sinking ship. Due regard, however, must be given to players whose future was at stake and, in fairness, also to Cordier himself who had splashed out substantial amounts of money to take the club to new heights, and now had to save the business that his dreams had imperilled. Bereft of the financial muscle previously supplying the strength of the team, Van Hoff returned to the club and drew an outstanding performance from his squad as the finished the 1992/93 season in a highly respectable third place. It was a swan song for Mechelen and the last time they would feature at the top end of the table for some time. The following years saw mid-table finishes at best. At the end of the 1993/94 season, Preud’homme became the last of the layers from the glorious era to leave Mechelen. Their few years in the sun were at an end. Their dreams, no longer powered by electric, were dead. The future was to see relegation, promotion, collapse, reformation and revival. It’s probably true to say that none of that would have happened if Cordier had not taken over the club; be that for good or ill. Football clubs need funds like rockets need fuel and when that power runs out, it’s a calamitous fall back to terra firma for both. Mechelen experienced the meteoric rise in fortunes brought – and bought – by John Cordier’s investment, and allowed the club’s fans to experience highs they would never have dreamt of. The problem with dreams, though, even electric ones, is that they can often lead to nightmares. Can Mechelen buck that trend? I’ll leave that for posterity to decide, but at the end of the 2016/17 season, the club were in seventh place in the Belgian top-flight, not a million miles away from where they were when Cordier first took interest in the club. Should another Cordier turn up tomorrow and offer up a similar situation, how keen would the fans be for another dream?